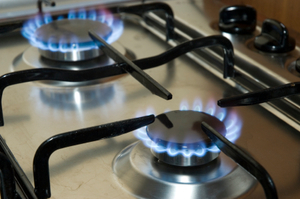 Ofgem has launched an investigation into six of the UK'sÂ energy suppliers, who it has claimed have failed to meet targets on providing energy efficiency measures for consumers. The government regulator for gas and electricity markets in the UK is investigating ScottishPower, British Gas, SSE, GDF Suez/IPM, Intergen and Drax. It stated that whilst energy suppliers had met 99 per cent of the energy efficiency targets put in place by the government, some suppliers had missed the set targets. The government's targets were put in place as part of a larger plan to aid the reduction of carbon emissions, as well as to lower the cost of energy bills. Commenting on the investigation, Sarah Harrison, senior partner in charge of enforcement at Ofgem, stated: "Ofgem's role is to ensure that consumers do not lose out by the failure of firms to deliver all the help required or are not disadvantaged by late delivery. "This is why Ofgem is today launching investigations into six firms who have failed one or more of their energy efficiency targets set by government," she added. The industry regulator has the power to impose fines of up to 10 per cent of the turnover of companies that fail to meet the targets of the government's CERT (Carbon Emissions Reductions Target) initiative, as well as those targets in the CESP (Community Energy Saving Programme). Following the launch of the government's Green Deal, consumers can also make energy saving improvements - such as the installation of new boilers - to their homes without having to foot the costs in one-go.